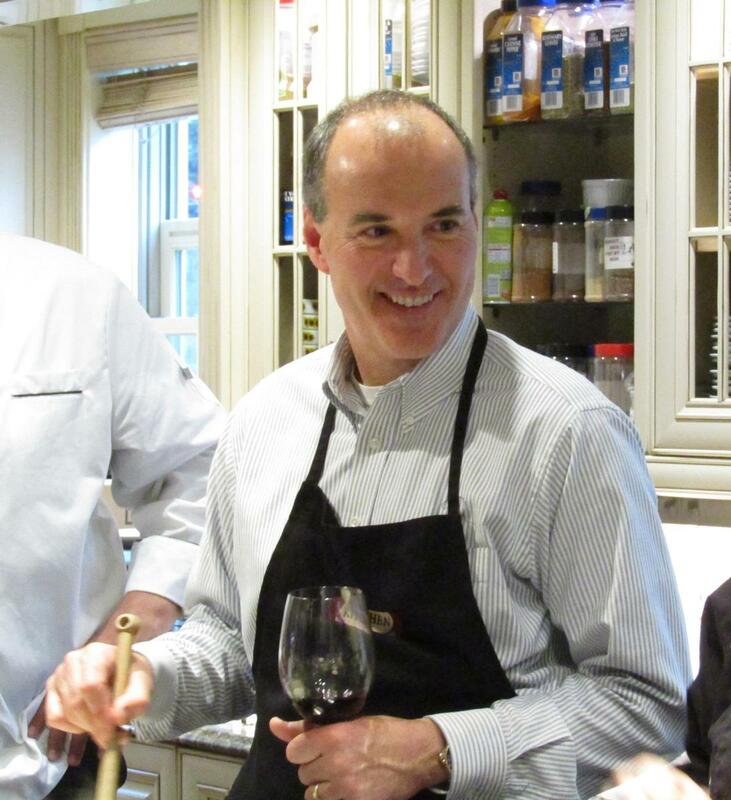 We are pleased to introduce Michael’s 2016 Advisory Council Members. 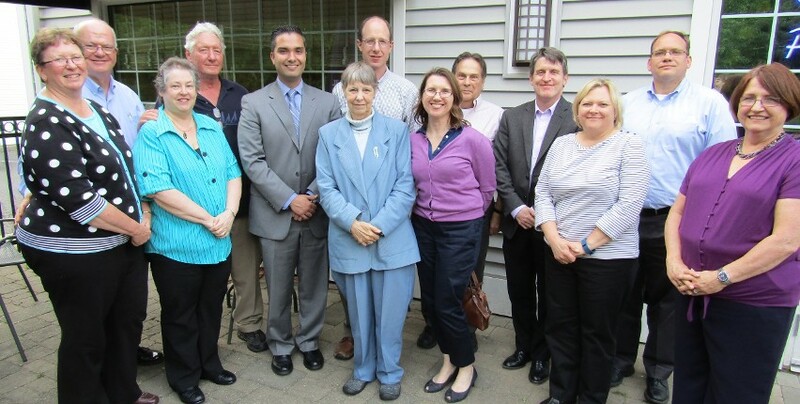 The council meets to discuss ideas to improve the AdviceOne experience for our clients. 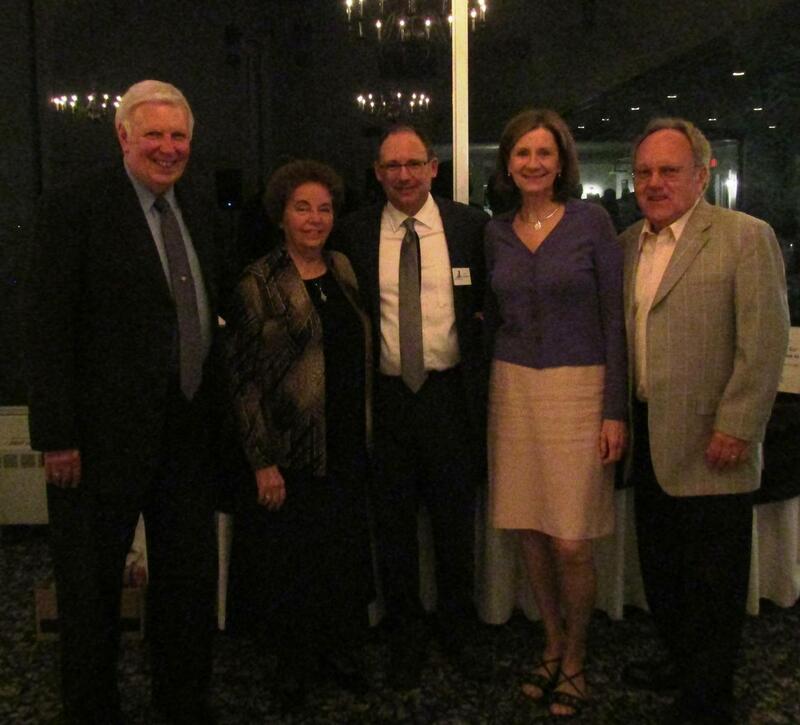 They are, left to right: Michael P. Grossman, CFP®, Holly and Scott Wilson, Stacy and Bob Malecki, Darlene and Ed Able, Stephanie Bonsall, Penny and Tom Cloft. 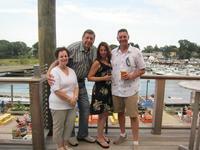 Missing from photo: David Bonsall, Tim and Claire Lewis. 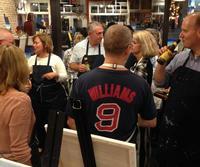 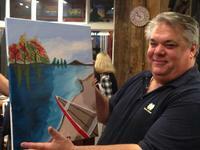 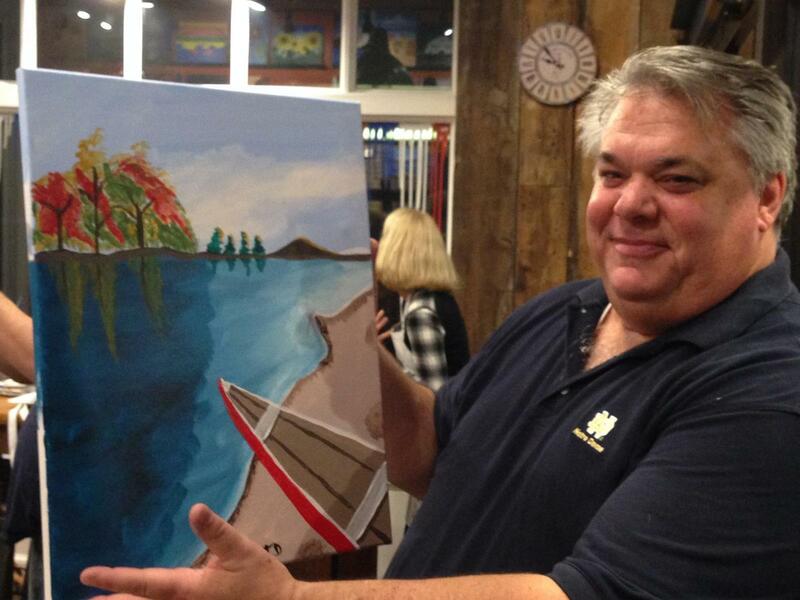 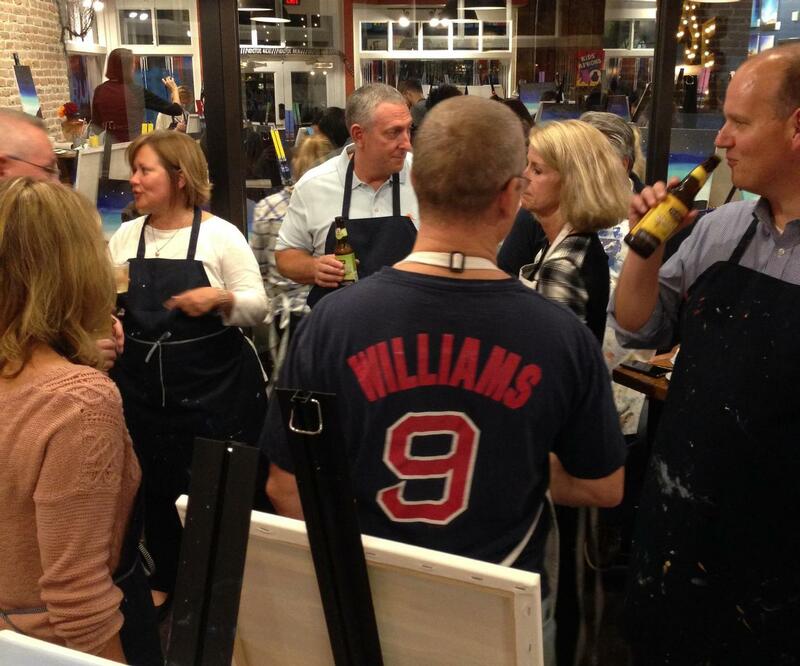 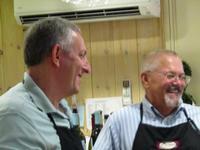 AdviceOne hosted a fall dinner party at its Glastonbury office, followed by a hands-on painting class at Muse Paintbar. Guests enjoyed cocktails, a delicious catered dinner, and then learned new painting techniques. 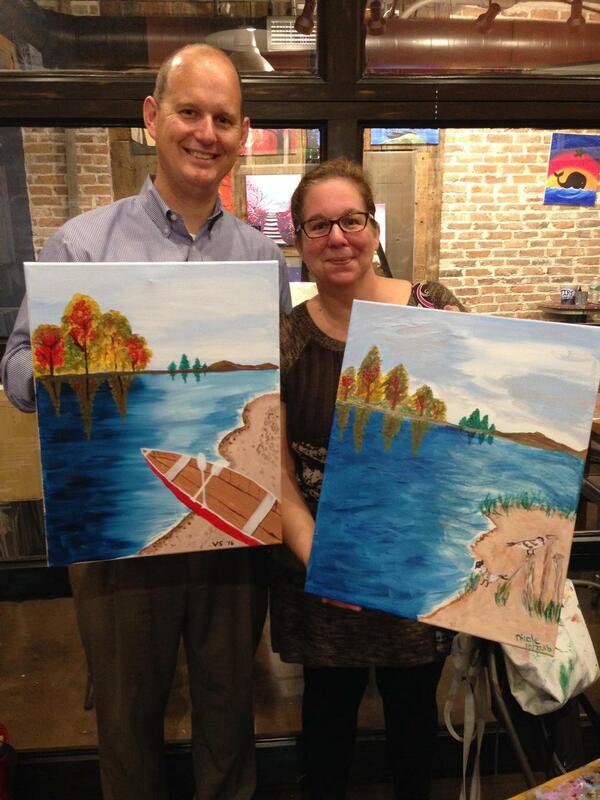 Who knew our UTC Executive clients were so artistic? 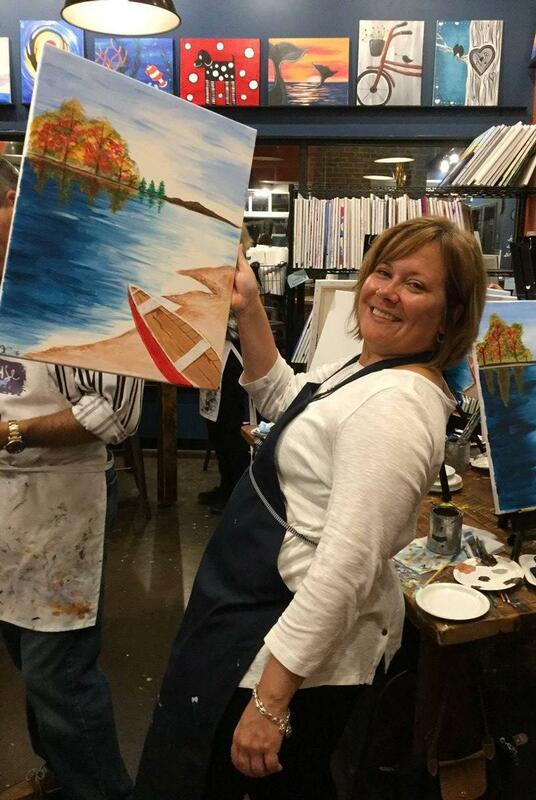 See their masterpieces below! 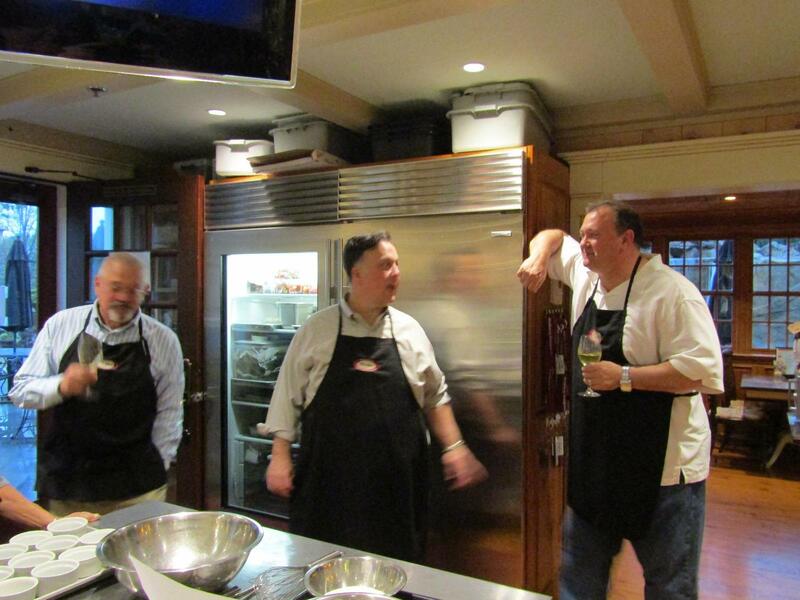 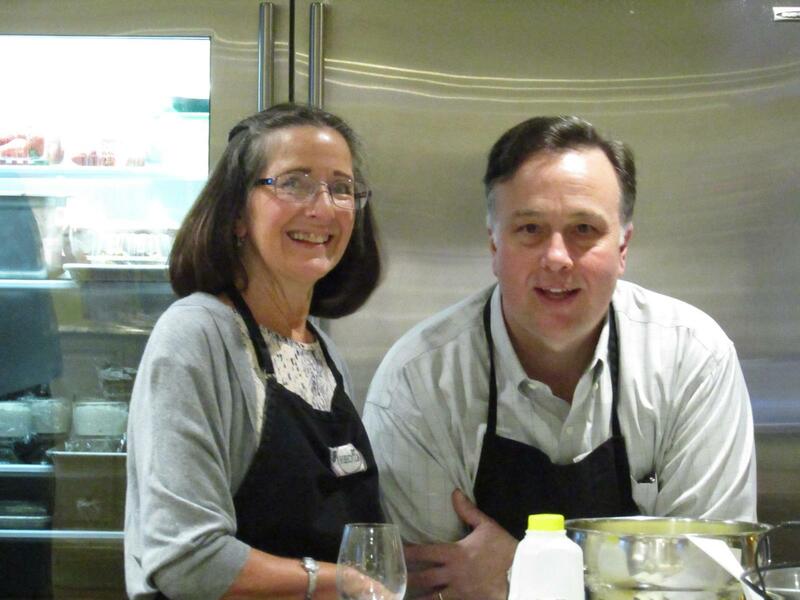 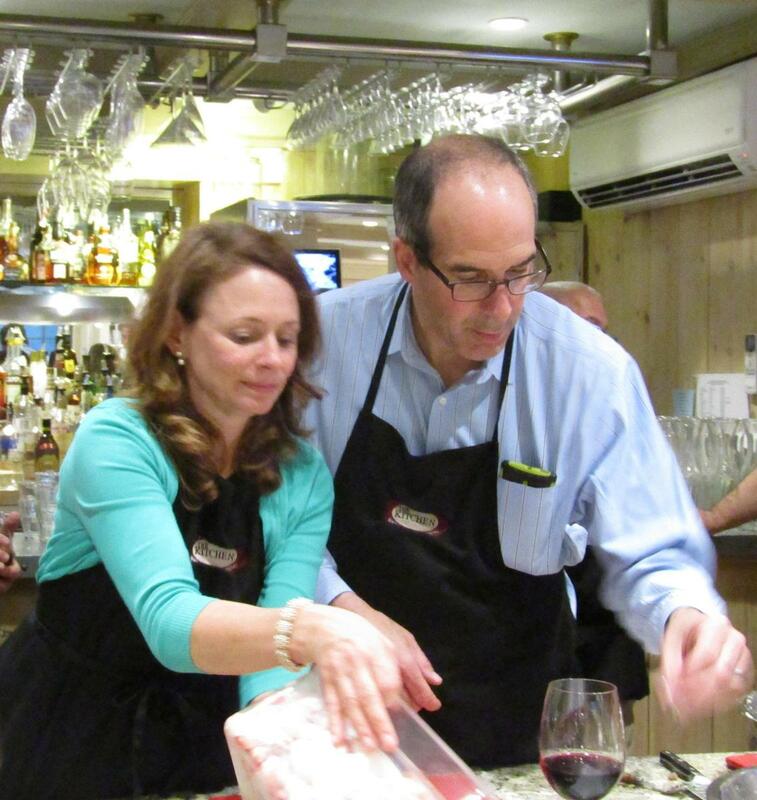 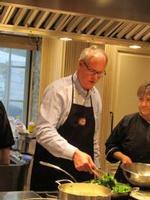 A dozen UTC Executives and spouses joined Michael and Katie Grossman for a Cooking Class in Middlebury in May. 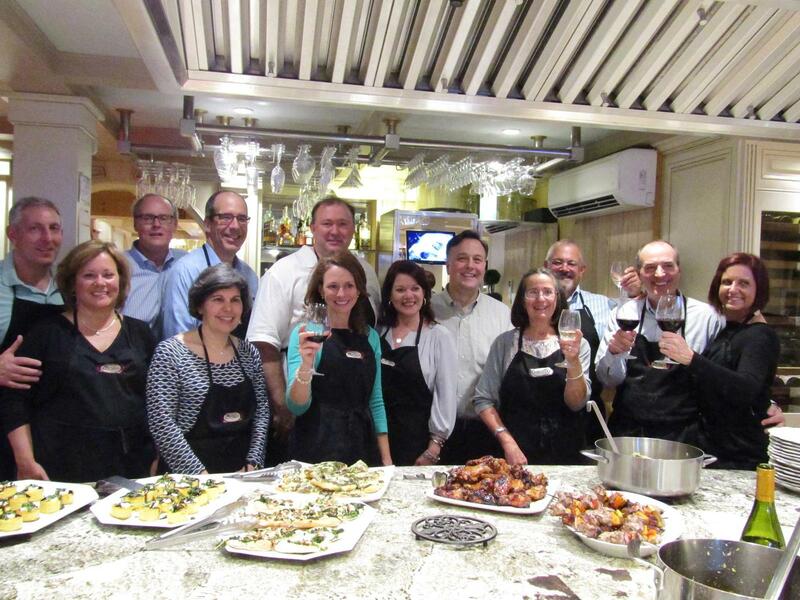 They prepared Italian appetizers and dessert and then shared a feast of all the delicious dishes and toasted to a job well done! 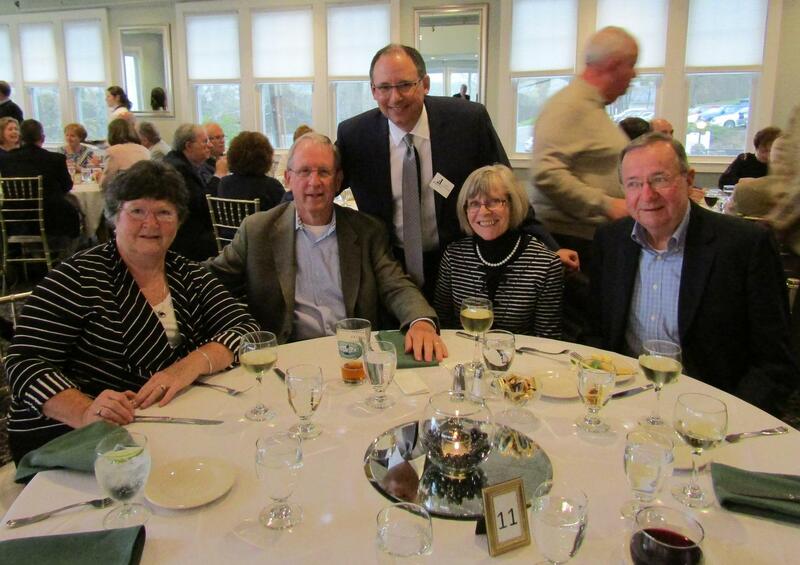 Over 100 AdviceOne clients from UTC companies joined hosts Michael Grossman, CFP®, Carlos Henriques, CFP®, Tim Miller, CFP®, Chuck Johnson, CFP® and Lorie Schappert, RFC® at The Riverhouse at Goodspeed Station for cocktails, dinner and dancing. 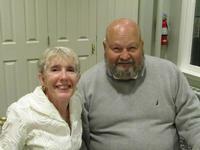 Hundreds of toys, books and games, as well as generous checks were collected for the Connecticut Children's Medical Center. We look forward to this event every year and love to see our UTC clients, current and retired, reunite for a relaxing evening. 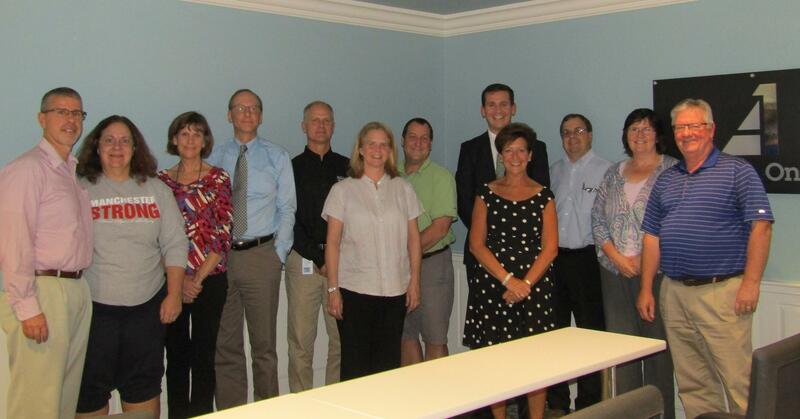 We are pleased to introduce Tim’s 2016 Advisory Council Members who meet to discuss ideas to improve the AdviceOne experience for our clients. 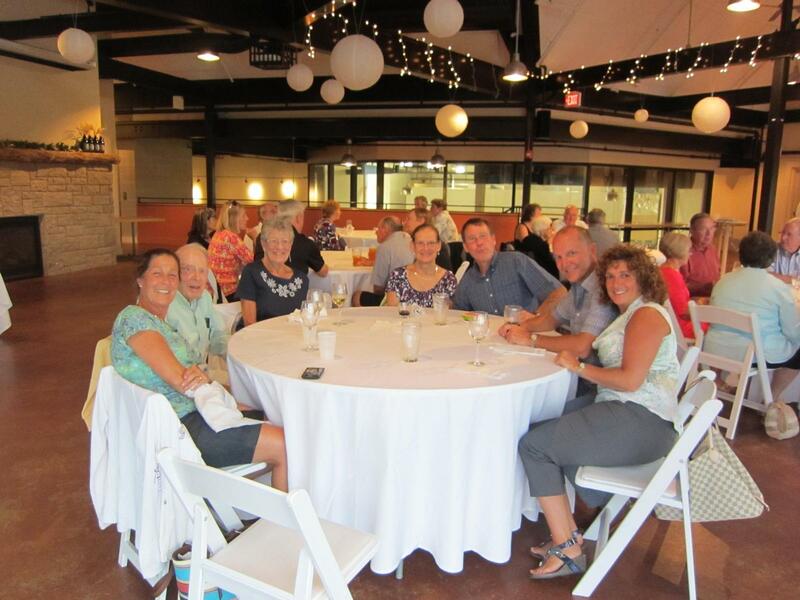 They are, left to right: Paul and Beth Litrico, Dave and Claudia Foster, David and Jodi Walton, Jim Caines, Tim Miller, Ginny Roscoe, Charlie and Margaret Haldeman, and Dave Roscoe. 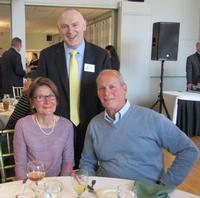 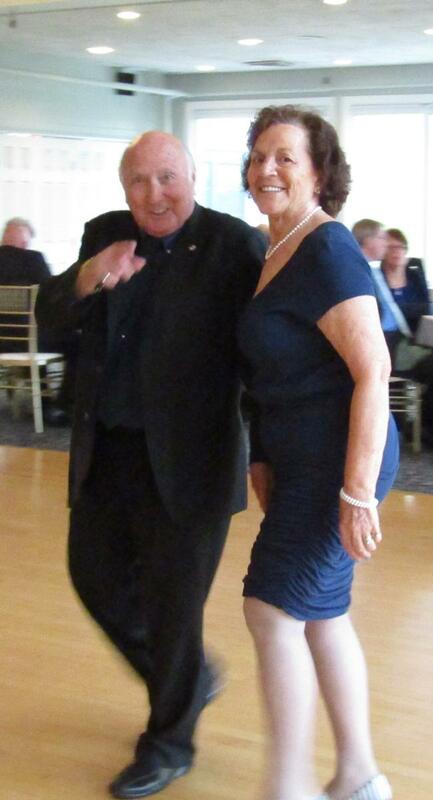 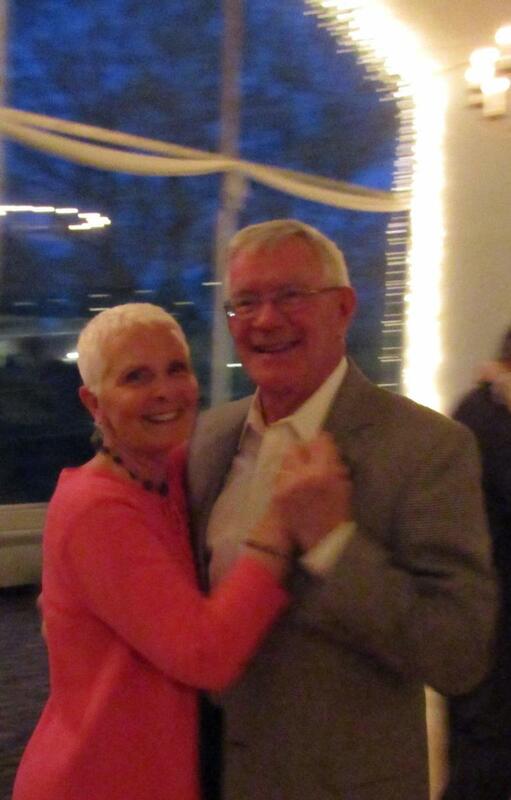 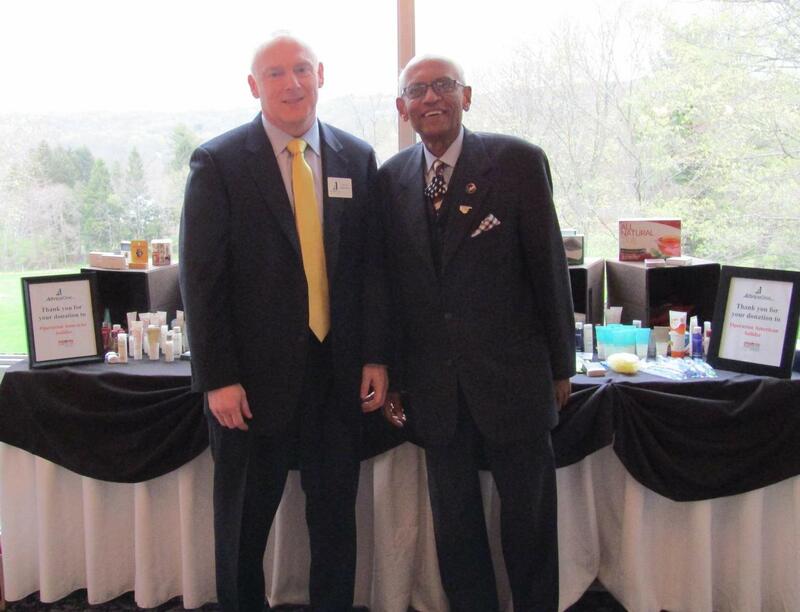 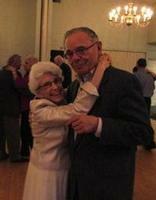 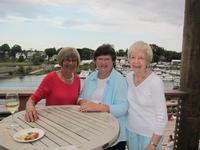 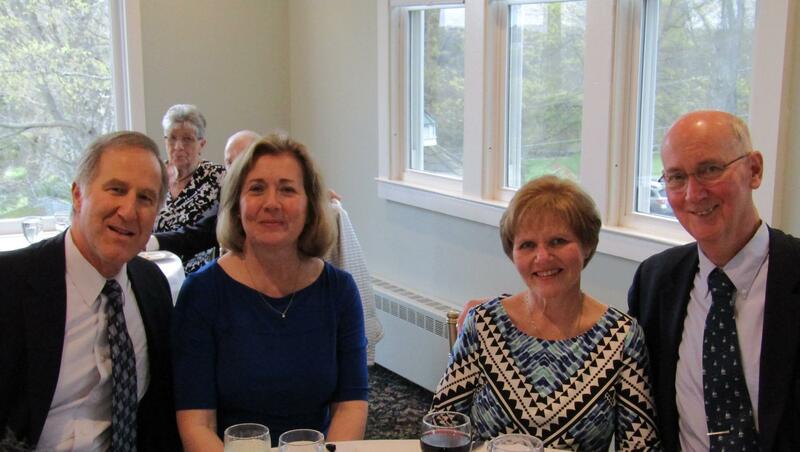 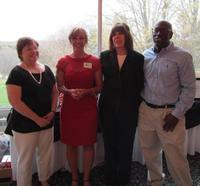 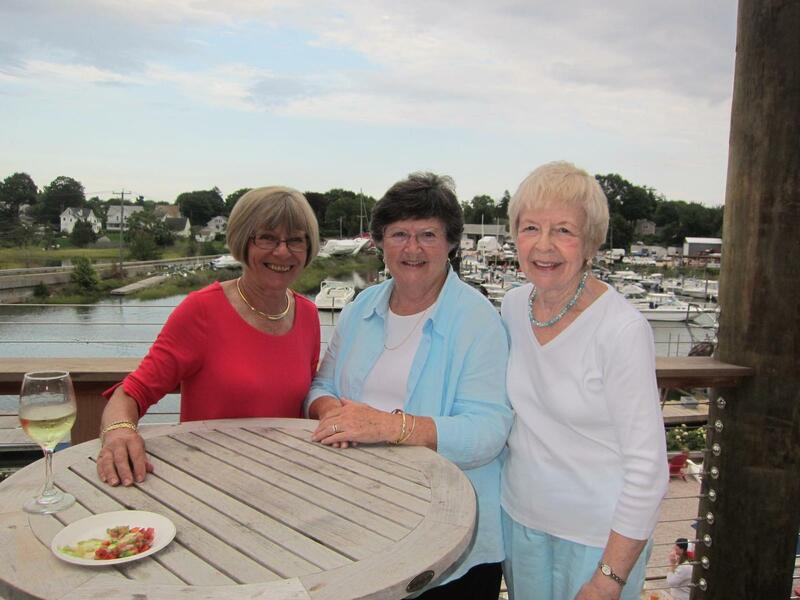 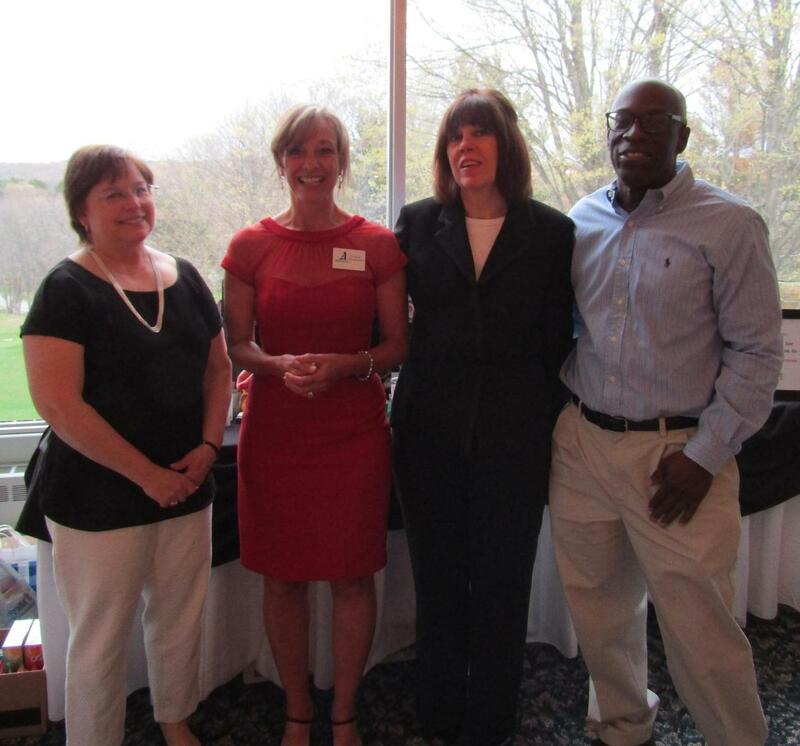 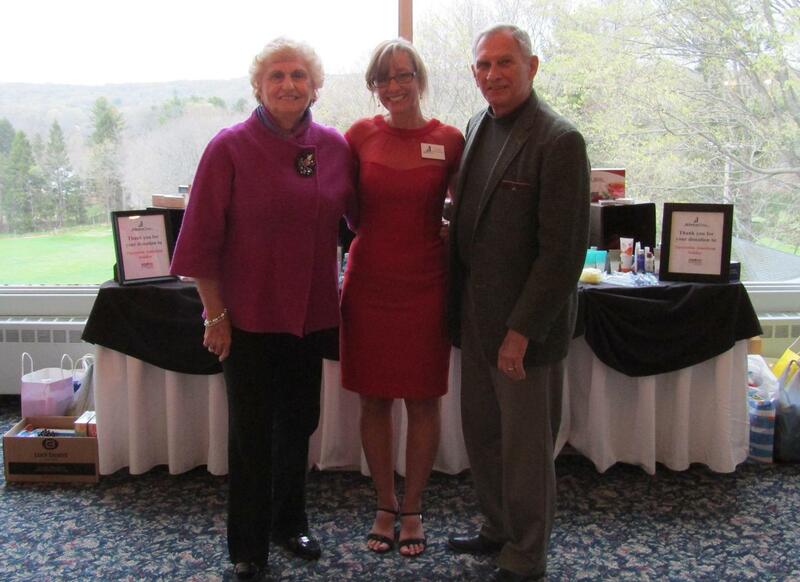 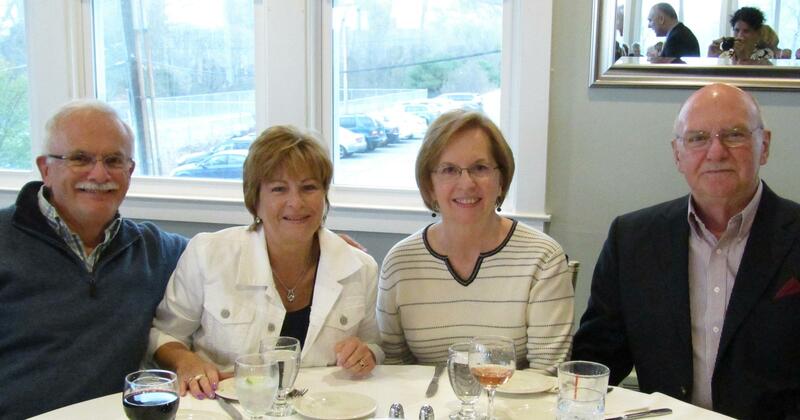 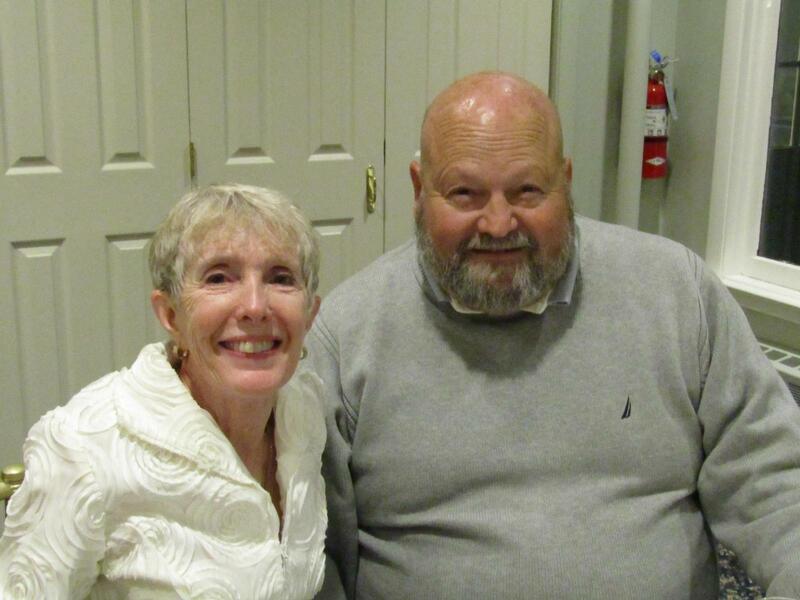 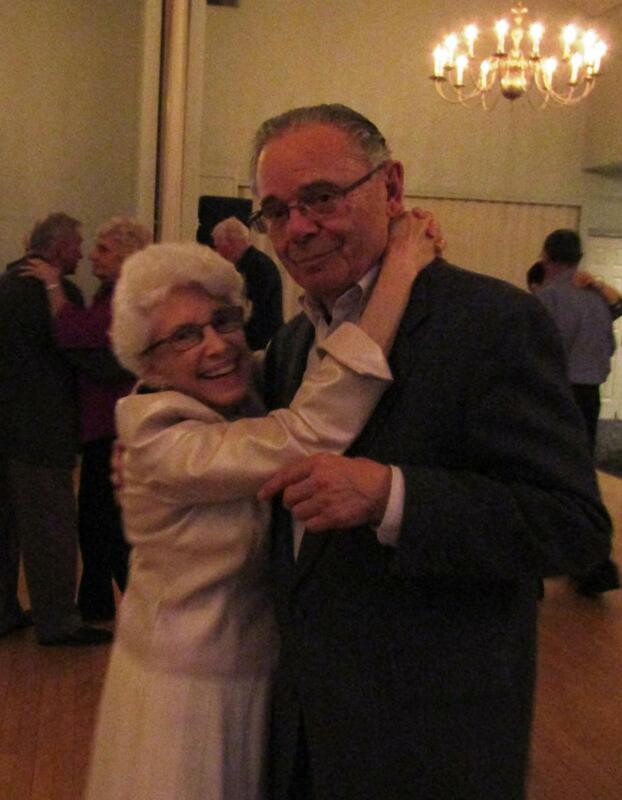 Over 100 AdviceOne Ambassadors gathered at Glastonbury Hills Country Club in May to enjoy cocktails, dinner and dancing. 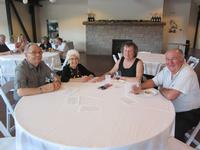 Hundreds of items were collected for Operation American Soldier to send to active service personnel in Afghanistan and Iraq. Over $700 was also collected to defray shipping costs. 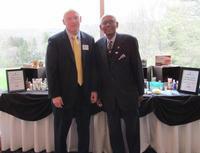 Thanks to AdviceOne clients, advisors and staff for the generous donations! Clients joined Carlos Henriques at Wang Palace in Glastonbury for a delicious dinner with drinks and socializing. Thank you to everyone who attended this event and special thanks to those who brought guests to introduce to Carlos and to AdviceOne! 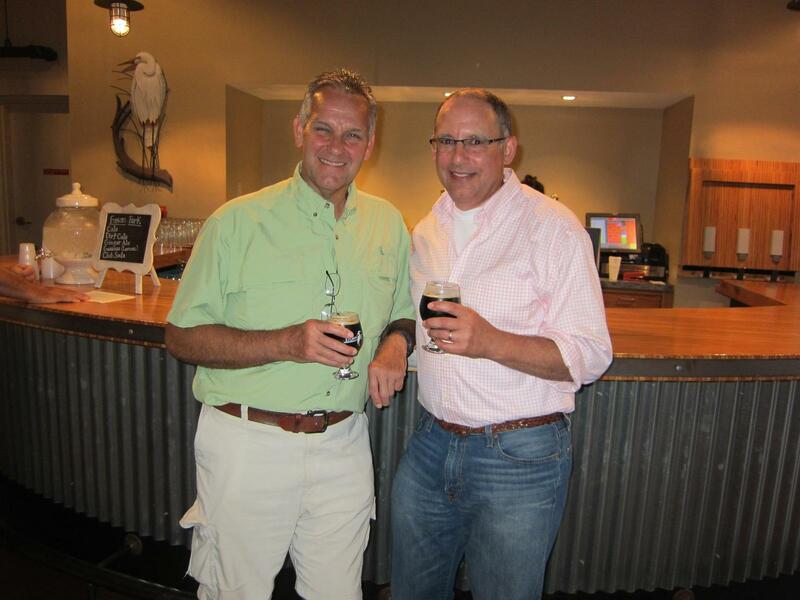 Clients joined Neil Goldberg for his first AdviceOne Brewery Event. 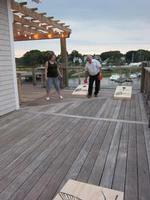 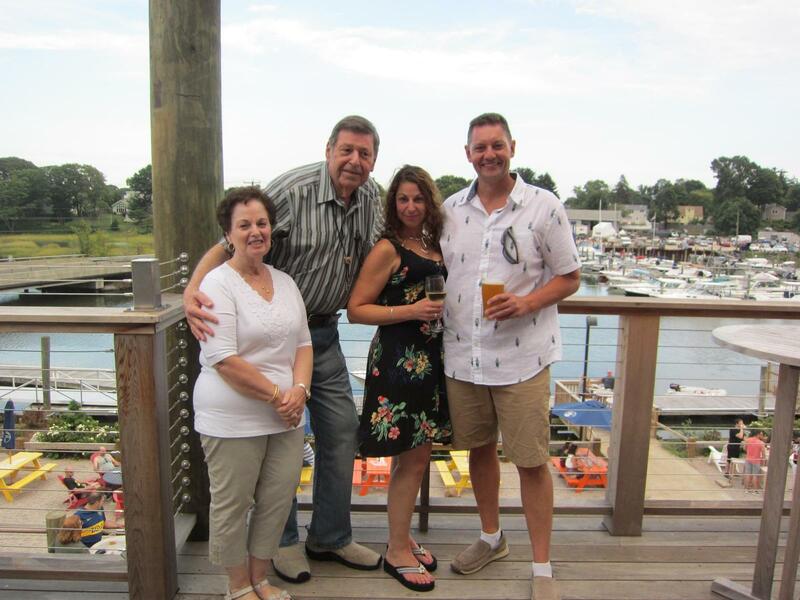 Everyone enjoyed a Connecticut craft beer while taking in the scenic background of the Branford Harbor. 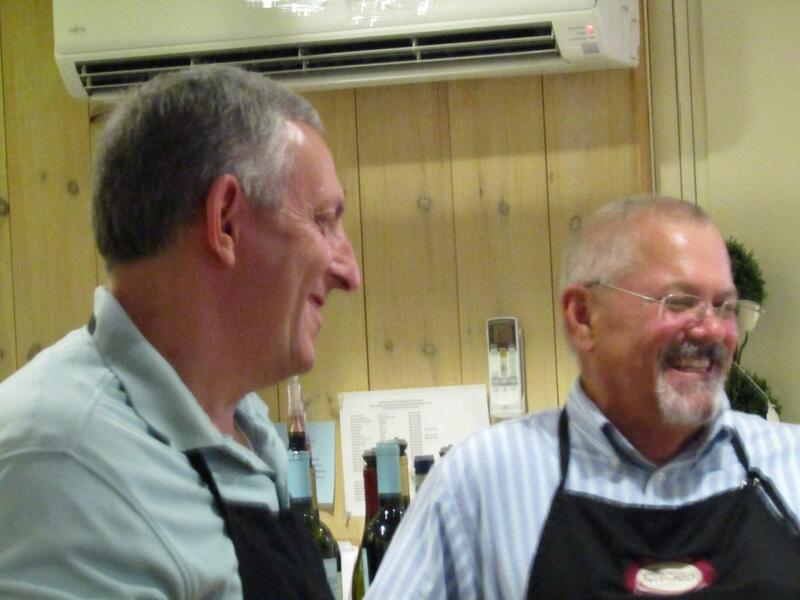 Thank you to those who attended and special thanks to those who brought friends and colleagues to introduce to Neil and to AdviceOne. 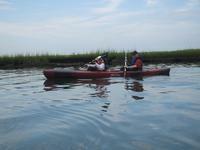 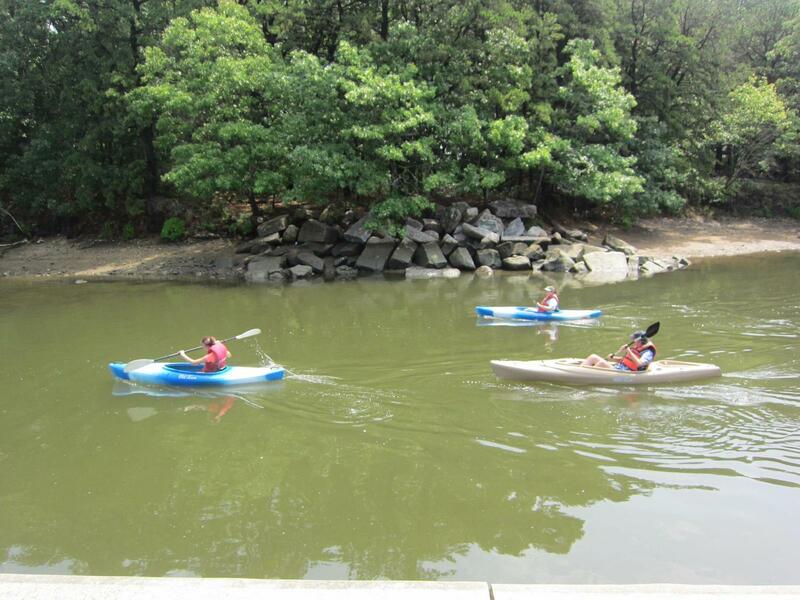 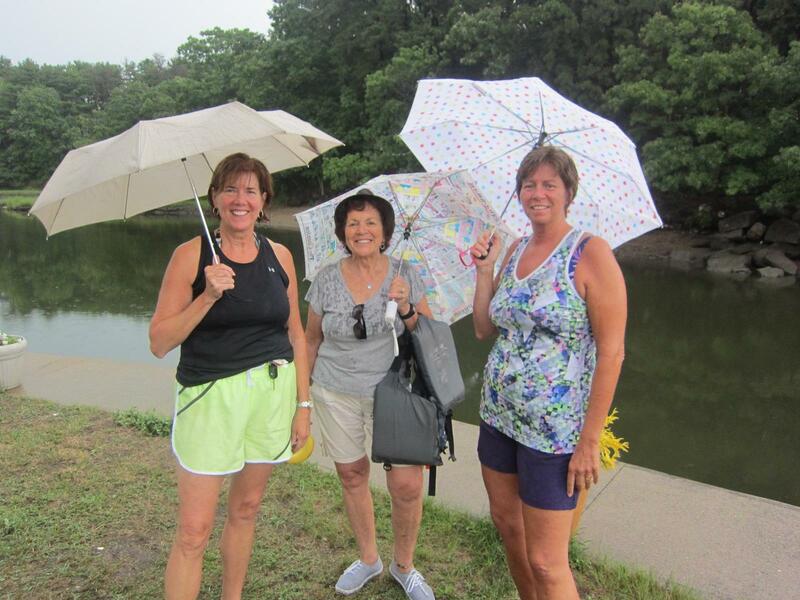 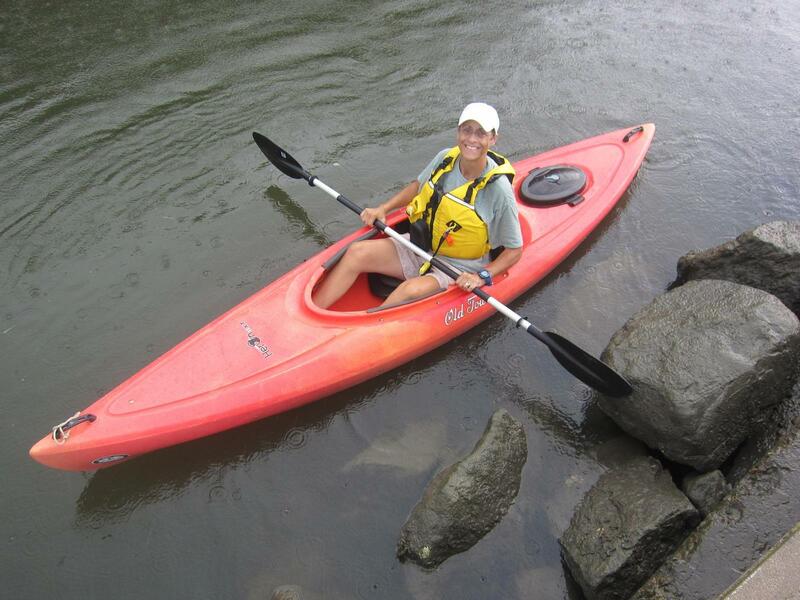 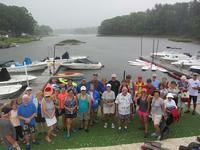 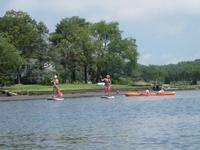 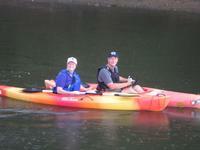 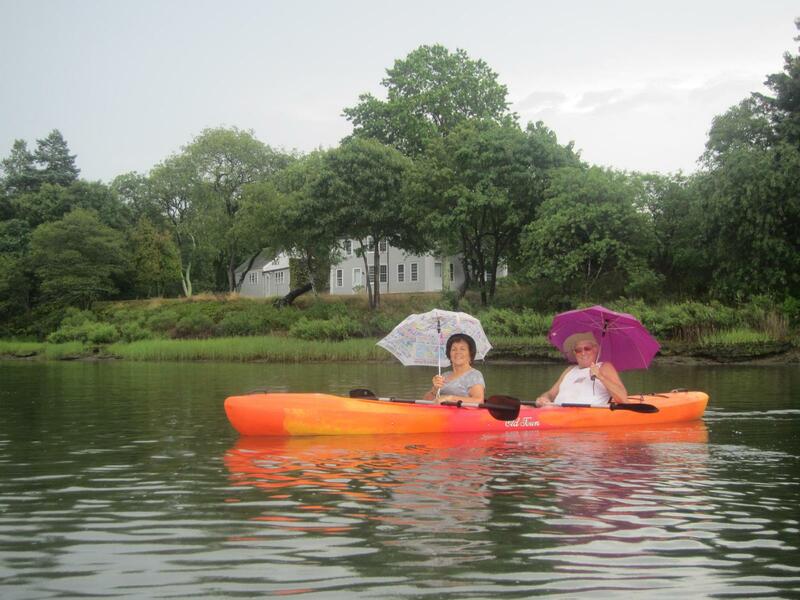 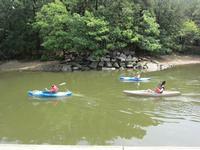 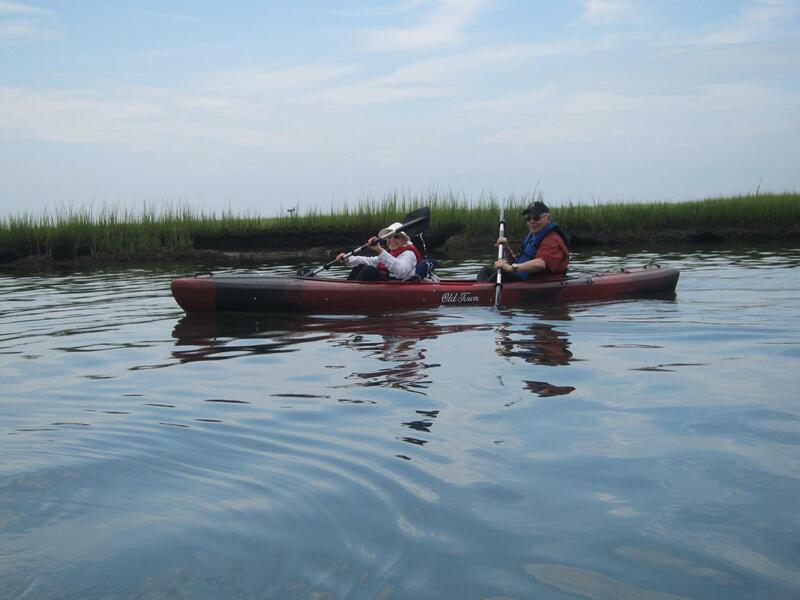 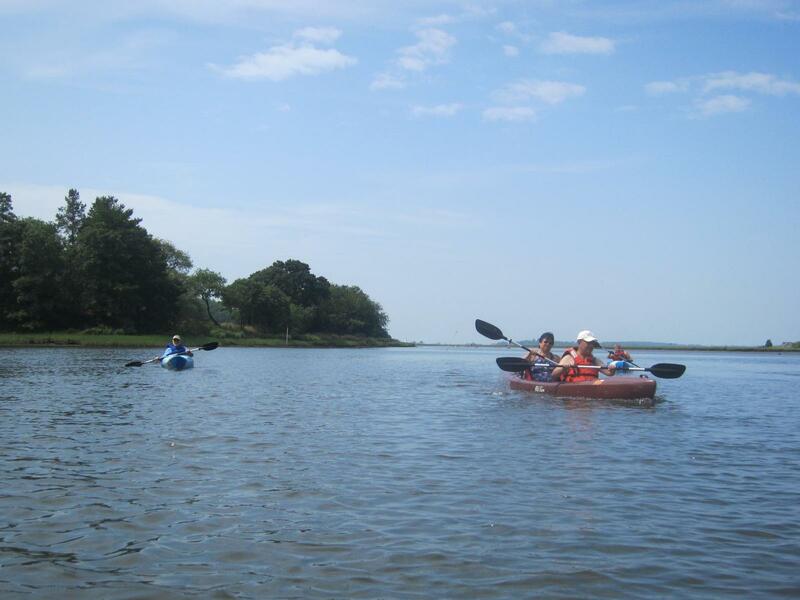 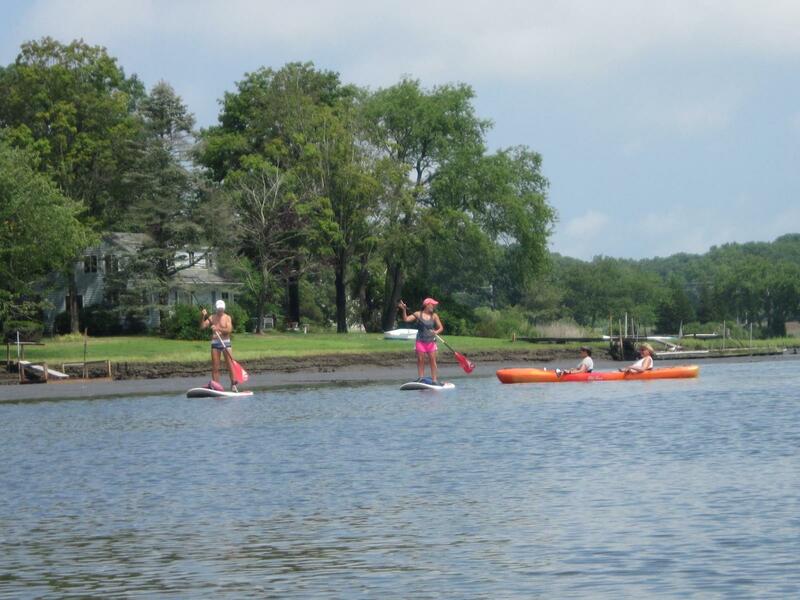 Clients joined Lorie Schappert for her second annual AdviceOne Ambassador Kayaking Trip. 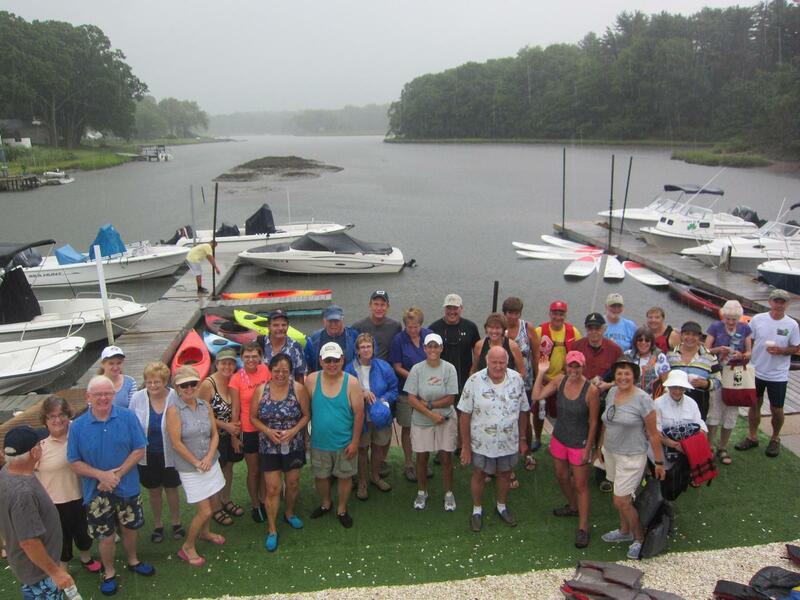 Despite a torrential downpour at the beginning of the day, the skies cleared and all enjoyed exploring the Old Lyme coastline. 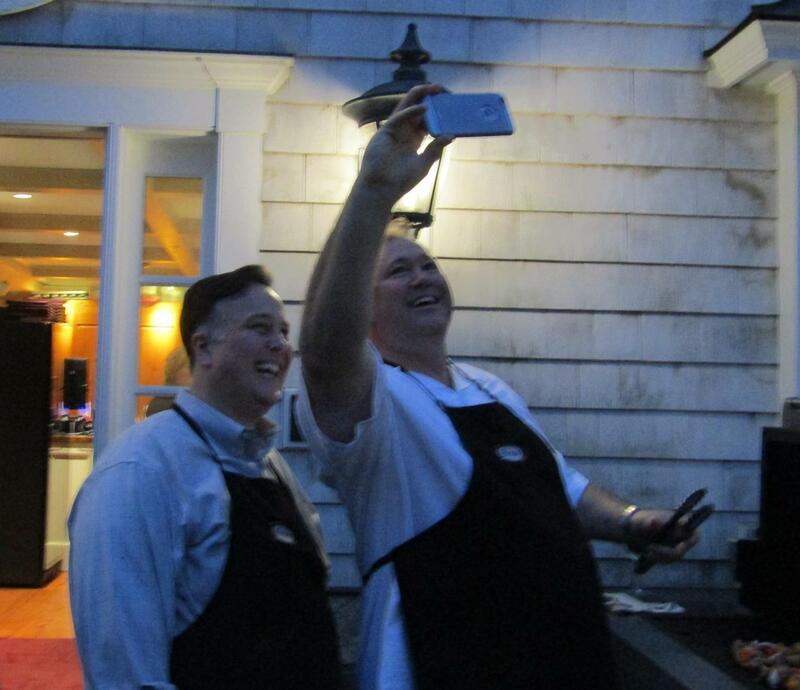 Thank you to those who attended, and special thanks to those who brought friends and colleagues to introduce to Lorie and to AdviceOne. 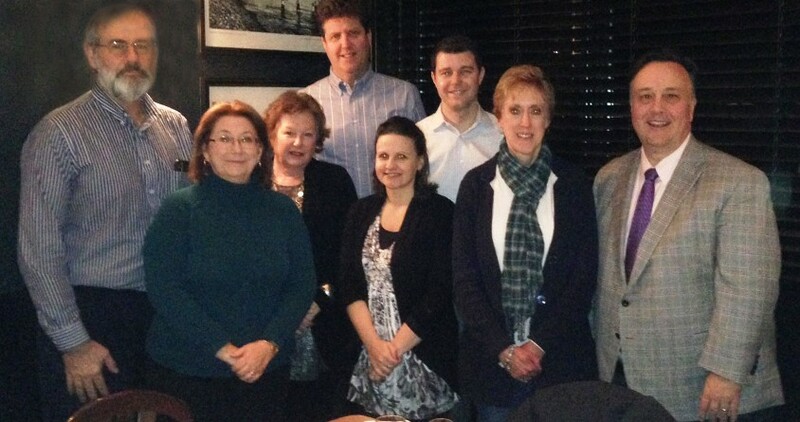 We are pleased to introduce Neil’s 2016 Advisory Council Members who meet to discuss ideas to improve the AdviceOne experience for our clients. 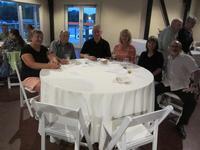 They are, left to right: Rick and Paulette Asselin, Jim Butler, Ray Dimmock, Neil Goldberg, Lorie Schappert, Sandy and Rick Humpage. 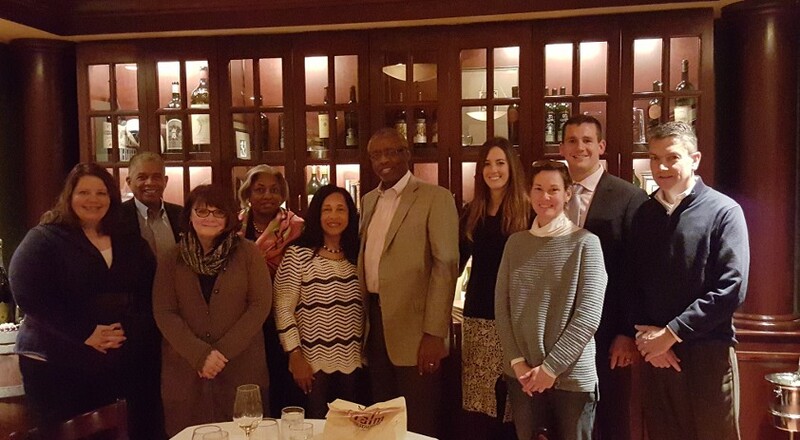 We are pleased to introduce Carlos’ 2016 Advisory Council Members who meet to discuss ideas to improve the AdviceOne experience for our clients. 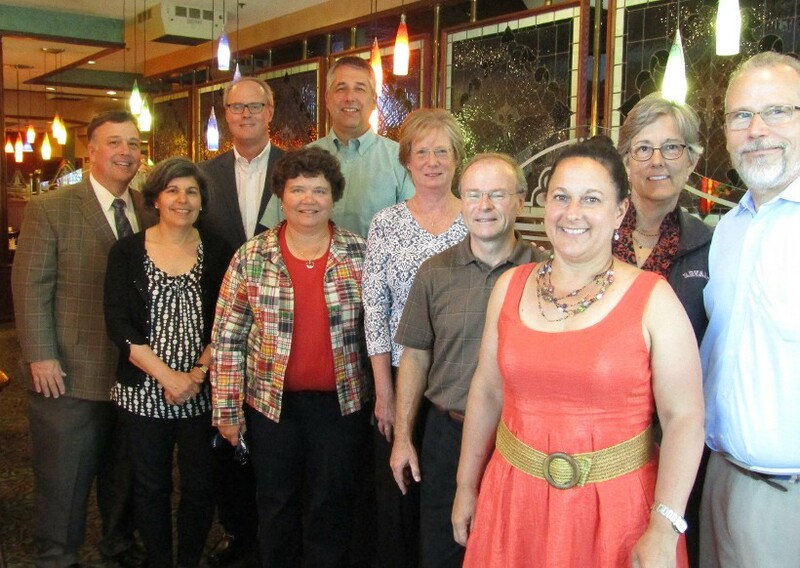 They are, left to right: Pat and Randy McKinney, Linda and Rich McClure, Carlos Henriques, Sher Parkos, David Knaul, Mary Therese Royal, Joe Parkos, Tyrus Royal, Cyndy and Mark Skripol, and Lynette Roy. 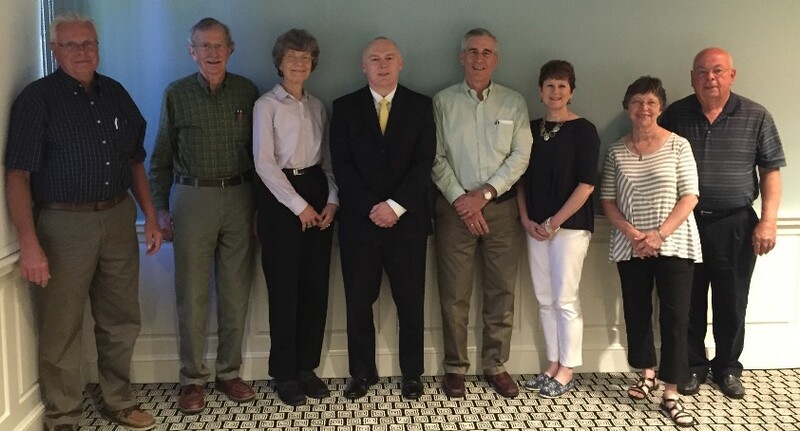 We are pleased to introduce Chuck’s 2016 Advisory Council Members who meet to discuss ideas to improve the AdviceOne experience for our clients. 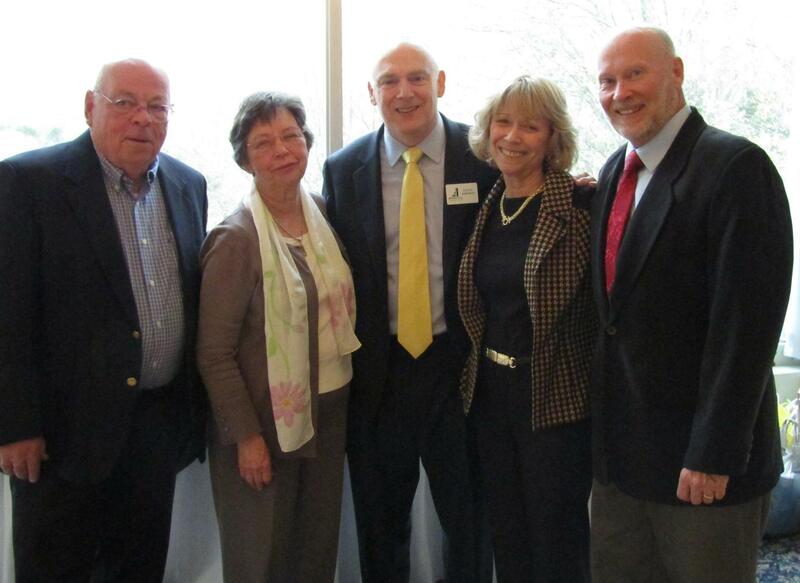 They are, left to right: Bob Hand, Ray and Jan Larkin, Chuck Johnson, TJ and Kerry McGuire, Anita and Dave Goddard. 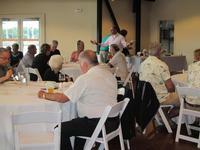 Clients joined Michael Grossman, CFP® for AdviceOne's first Ambassador Dinner Event in Rockford, IL. 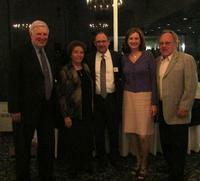 From left to right: Bill and Jo Ann Lukens, Marion and Bob Guirl, Andrea and Brad Ewald, Susan Thomson, Michael Grossman. 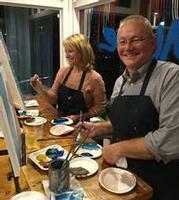 Clients and guests joined Michael Grossman, CFP® and Tim Miller, CFP® for AdviceOne's first Ambassador Dinner Event in Charlotte, NC. From left to right: Amy Hidenwriter, Theron Simpson, Sue Hein, Elizabeth Simpson, Linda and Richard DeVaughn, Kelly and Tim Miller, Debby and Mike Groenhout.